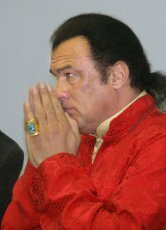 Hollywood buddist Stephen Seagal visited Naadym festivities in Tuva which were held August 15-16. He was in Russia on Vladimir Putin’s invitation, visited Sochi’s wrestling tournament together with the Russian President. On his way to his wife’s motherland Mongolia he made a several hours’ stop in Tuva, listened to Tuvan throat-singing and was an honourable guest at the Khuresh tournament which gathered 256 strongest Tuvan wrestlers. 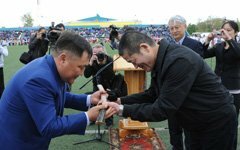 Premier of Tuva Sholban Kara-ool received the highest regalia of martial arts - black belt in karate. This honorary award and a certificate about obtaining the 1st Dan was presented to him by the founder of International organization of Karatedo "Marioshikai" Toshiatsu Sasaki and a triple champion of SSSR in karatedo, president of Novosibirsk sport-club "Uspekh" Veniamin Pak, who have come to Kyzyl on the invitation of Tuvan premier, and have conducted a technical seminar. The press-service of the republic informed ITAR-TASS of this today. 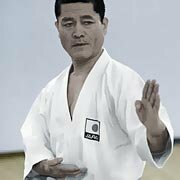 Tomorrow, a world star of karate, technical inspector of the World Karate do Federation, master of the 8th Dan, president of karate organization "Marioshikai" in Sapporo, Toshiatsu Sasaki, is coming to Tuva. The karate legend will hold workshops for young sportsmen at the 5-Years of Soviet Tuva Stadium. "This visit has an immense educational significance for our children, - states the Tuvan Ministry of sports. - The entire sports career of our guest shows that beside learning various technical moves, it is the power of spirit, the will, that is important. International competition in national types of wrestling will take place in 2011 in the capital of Tuva. This decision was reached by sports authorities of Tuva and Mongolia, which is the main initiator of this competition, as announced by the first deputy of the minister of youth and sports affairs Radislav Navazhal, who conducted the talks by assignment by the head of the republic Sholban Kara-ool. 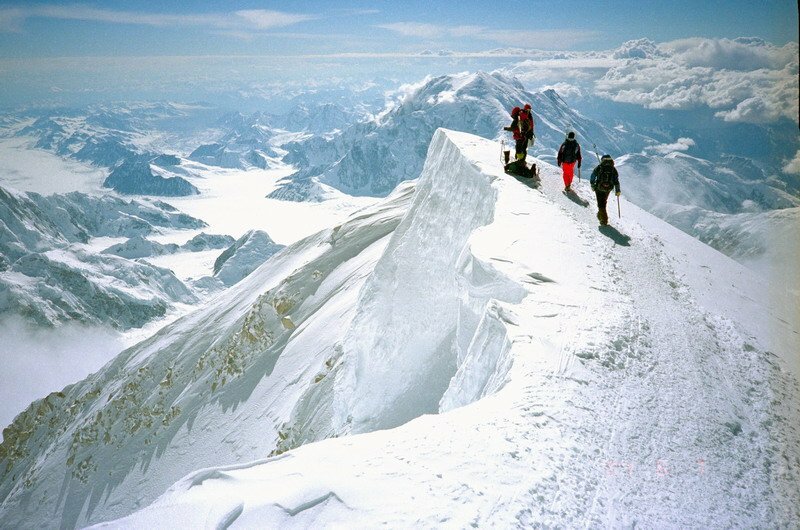 Tuvan alpinists Maadyr-ool Khovalyg, Mariana Surunchap and Vladimir Dyukov successfully conquered their fourth peak, the highest mountain of North America, Mt.MacKinley (6193 meters)., which was named “Denali”, the highest, the greatest, by Native Americans. As the alpinists reported from Anchorage, the ascent took 16 days. 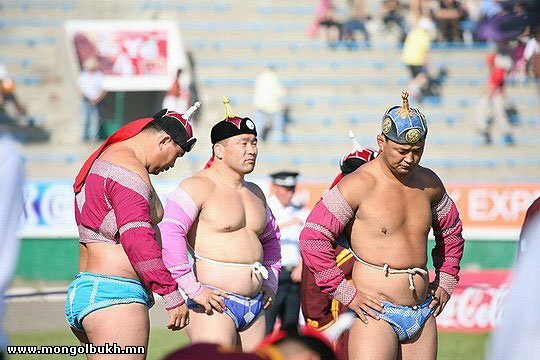 Brand new esthetic standards of sports competitions were set in Tuva last Sunday. In a beautified, music-equipped sports complex “Subedei”, there was a celebration of grace and beauty – the first competition in artistic gymnastics to take place in Tuva. It did not receive the status of a Championship because of the very young age of the participants. Forty-one athletes aged from 3 to 14 years came out onto the gymnastics mat and introduced programs with a hoop, jump-rope, and ribbons to the enthusiastic, admiring spectators. One of the most beautiful and spectacular types of sport – artistic gymnastics – is being first introduced to Tuva. Children’s admissions to to groups of this type of sport are now being held at the sports-complex “Subedei”. “Honestly, we did not expect that so many will be interested in practicing artistic gymnastics”, admits the director of the republican children’s and youth sports school, Tolban Samdan. The master of this sport, Alena Udod, prize-winning champion of Krasnoyarsk in artistic gymnastics, came to Kyzyl to teach the little athletes. Today, the local sports community welcomed Lorisa Oorzhak like a national hero, as she returned from the Championship of Russia in women’s wrestling in Stavropol with a gold medal. Today, the bicycle race “Sayan Ring” will pass through the Kyzyl-Chadan route. Yesterday, the race “Kriterium” took place on the main square of Kyzyl, the capital of the republic. Two veterans of bicycle racing, Anatoliy Khramlyuk and Andrei Semagin, achieved remarkable results. Both are former trainees of the illustrious trainer of Russia, Valeriy Denshchikov.